Founded in Aÿ in 1584 by Pierre Gosset, Champagne Gosset is the oldest wine house in Champagne. Over the next four centuries, generations of the Gosset family would go on to win fame not only as alderman, mayors and magistrates in Aÿ, but also in growing and trading wines of Champagne. Whatever the period, the men and women of the Gosset family had a single ambition -- to improve their terroir. In 2009, Champagne Gosset announced the acquisition of a new property in the heart of Epernay which will serve as an extension to its production facilities in Aÿ. Champagne Gosset's reputation for high quality starts in the vineyard, where it sources grapes almost entirely from premier cru and grand cru vineyards in the Vallée de la Marne. These vineyards rate an average of 95 percent on the "échelle des crus," or "ladder of growths," -- the classification system of the villages in the Champagne region. The top-rated villages are given a score of 100 percent and are called grand crus; currently there are 17 such villages. The next tier has scores ranging from 90 to 99 percent; these are the premier cru villages, of which there are 44. The remaining 296 crus have scores between 80 and 89 percent. "With Gosset champagne, the wine comes first, the bubbles come later." This is the motto of Gosset, to which cellarmaster Jean-Pierre Mareigner has remained faithful for more than 30 years. Born in Aÿ, Jean-Pierre comes from a champenois family deeply rooted in viticulture; his father, Pierre, worked at Champagne Gosset as vineyard director for 15 years. 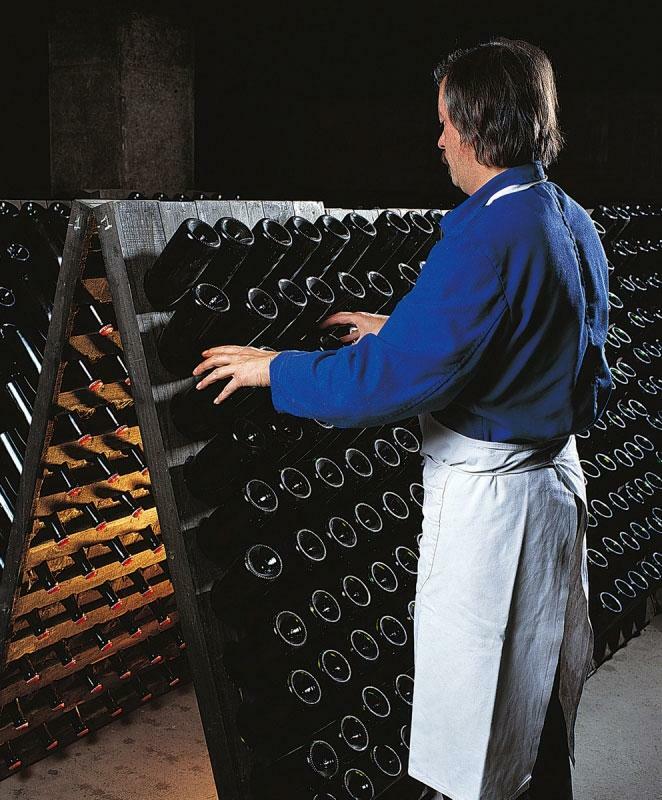 Unlike most champagne producers, Gosset carefully avoids malolactic fermentation. Gosset champagnes are made with extreme care and kept in dark cellars for at least three years -- and up to seven for vintage champagnes and 10 for the CELEBRIS cuvées -- before release. Gosset's inimitable style -- powerful and full-bodied, of unrivaled richness and staying power -- has changed little over the centuries. Once a favorite of the kings and queens of France, Champagne Gosset remains one of the most illustrious and prestigious producers, considered by many collectors and connoisseurs as the world's preeminent luxury champagne. Wine Enthusiast 93 "This is a relatively new Champagne for Gosset, which has traditionally focused on Pinot Noir. Drawing mainly from Cote des Blancs vineyards, it’s crisply elegant with a fine mineral texture and taut character. It’s poised for further development in bottle. Drink from 2018."